HAPPY HUB: Gill Hogan, Jill Carrodus, Frankie Heppall, 4, and her Grandma Jenny Cetinich are Hub regulars. AFTER nine months under management and lease of the Christie Centre, the former Irymple Library is turning the page and writing its story for all those in Sunraysia to read. Officially renamed ‘One Hub Irymple’ by Mildura Senior College Visual Communication and Design students, services are focussed on providing a flexible and inclusive space for community members and groups. During renovations, in the spirit of community engagement, the Christie Centre ran a competition for students to develop the new branding of the Irymple ‘Hub’. The winning logo was designed by Kendell Dew and Michelle Katz, who each received prizes valued at $200. “We have craft items, board games, puzzles, books, anything you can really think of,” Bernadette said. “This is a space for community groups to use as well – we have a ukulele group that come out once a month to practice. “We will have IT sessions on Tuesday mornings, and although we’re only open from 10am to 4pm Tuesday through to Thursday, the space is available for community groups and events out of hours. 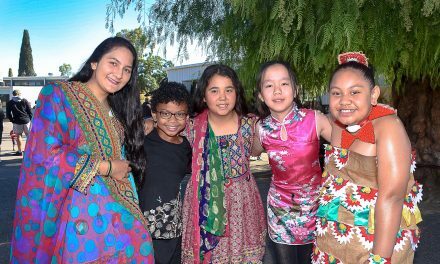 One Hub Irymple is looking to continue expanding its reach and find more community groups to call the space home. One that has is a group called the Fibre Project, co-ordinated by Gill Hogan. The Fibre Project is a skill sharing group, gathering together on Wednesday afternoons to share, craft and socialise. 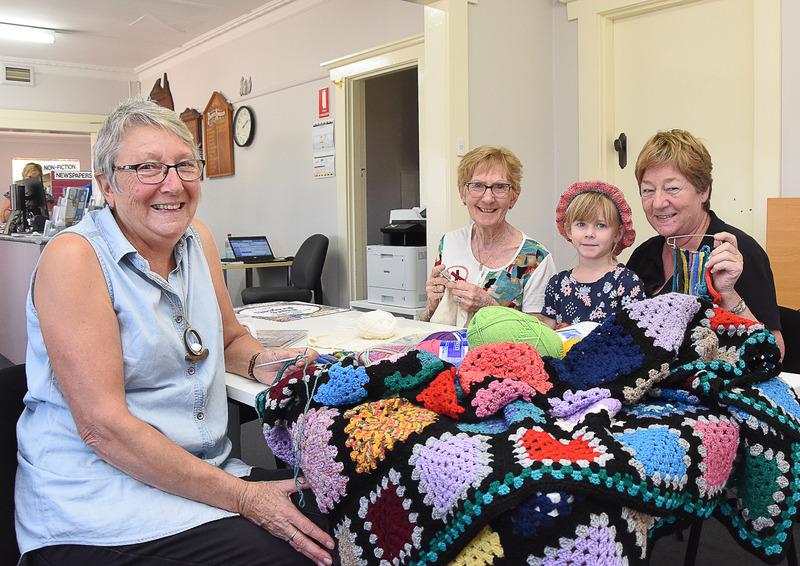 Doing their part to raise funds and awareness for the ‘Hub’, they will raffle off a hand-made crocheted blanket, weaved and crafted together using different donated fibres. 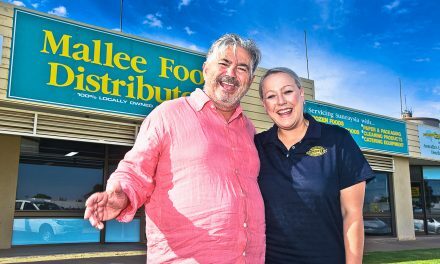 Tickets for the raffle will be available from One Hub Irymple, the Christie Centre’s site on Twelfth Street, and out the front of Fishers IGA Irymple on Thursday, May 2 and 9. The winners will be drawn on Wednesday, May 29. For more information, or to inquire about using One Hub Irymple, contact the Christie Centre on 5023 3761, or email reception@christiecentre.com.au.